The Cannabis Corporate Law Firm represents a variety of commercial cannabis stakeholders in furtherance of California’s goal in legalizing and regulating commercial cannabis activity in the state of California. We are delighted to have had the opportunity to participate in many of the workshops and conferences sponsored by the Bureau of Cannabis Control, Department of Food and Agriculture and the Department of Public Health. 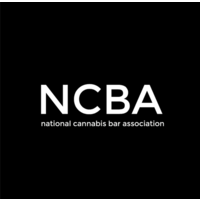 To that end, please know that the goal of The Cannabis Corporate Law Firm in submitting these comments is to further the legitimate business interests of industry stakeholders, in this case commercial cannabis cultivators, and to aid in establishing a practical and fair system of regulation for the industry. To that end, please find our comments regarding specific sections within the California Code of Regulations below. 8102(f) requires the agent for service of process to be an owner, which is contrary to California’s Corporations Code. Moreover, it is unduly restrictive in requiring an owner to serve as an agent for service of process. Many businesses in California designate a third party corporation or their attorney to serve as the agent for service of process for a variety of reasons, not the least of which is to avoid disruption in business operations. Recommend: strike the portion that requires the agent for service of process to be an owner. 8102(i) suggests that an operating agreement, partnership agreement, fictitious business name statements certificates of stock, certificates of limited partnership may be required to be submitted, whereas none of these documents are filed with the Secretary of State. This regulation intrudes on trade secret, attorney work product, copyright and underlying privacy interests, all of which are protected by California law. Recommend: Clarification that the above documents need not be submitted UNLESS they have been filed with the secretary of state for some reason or eliminate reference to any document that is not filed with the California secretary of state. 8102(h) and §8103– requires disclosure of all persons who invest in or make loans to commercial cannabis businesses. The availability of capital and lending in this industry is already limited. Given that cannabis remains illegal under Federal law renders investment in this industry high risk, especially given the uncertainly of evolving Federal legislation and the position of Jeff Session with respect to enforcement of federal cannabis laws. The regulatory scheme already provides for disclosure of those who have a controlling voice in the cannabis business. A number of innovative and talented individuals are seeking to enter the commercial cannabis space as startup companies. Restricting their access to nontraditional commercial lending markets restricts competition and prevents quality participants from entering the market. Recommendation: eliminate the requirements of §8102(h) and 8103. 8105(b) requires a description of the use for any remaining portion of the property occupied by an applicant. In the event that the remaining portion of the premises is not occupied or leased or owned by the licensee, this could prove to be intrusive with respect to another tenant’s rights. It is not the business of the tenant-applicant in one location to know the business of another tenant nor is it the business of the CDFA. Recommendation: clarify that the remaining portion of the premises only refers to that portion actually leased, occupied or owned by the applicant. 8109– Penalizes medicinal growers who will have to compete with large corporations in 2023. California has always honored and respected the interests of small business owners, and in this case cultivators and farmers should be no exception. We should protect those cultivators upon whose backs this industry was built. Allowing for unlimited small licenses to be issued to the same applicant undermines the process. Additionally, the spirit of the law is clear in restricting the number of medium licenses to be issued for commercial cannabis cultivation. The cap on medium size operations is meaningless if the cultivator can simply put up clear and distinct property demarcations to avoid the “one medium license” cap. While we understand and appreciated the elimination of vertical integration restrictions in the prior enactment of the law, an absence of a total canopy cap restriction does not adhere to the law as enacted by California voters who sought to protect the interests of small craft farmers at least long enough to develop brand reputation and recognition before large scale volume cultivators enter the market in 2023. Recommend: restore total canopy restrictions that would limit outdoor cultivation to 4 acres and indoor or mixed light to 1 acre. 8303(b) What does “non- manufactured cannabis” mean? This is not defined in the regulations. Generally: Can a cultivator buy immature plants from anyone? Or does it need to be a licensed nursery? Track and trace does not apply to immature plants. We thank you in advance for careful consideration of our comments. Please feel free to contact our office if you would like to discuss any of these issues further.